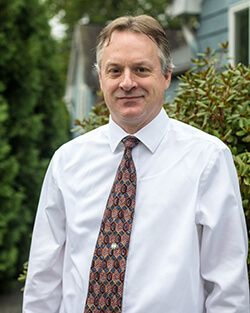 Originally from Alabama, Dr. Hollinger grew up in Agawam and recently moved to Rocky Hills, CT with his wife Laura and their five children. He has been improving patients’ smiles for 23 years and counting. He attended the University of Massachusetts in Amherst before moving on to achieve his dental degree at Tufts University. He has also undergone additional training in several areas, including sleep treatment and sleep disorders, TMD, orofacial pain, and orthodontics as part of the International Association of Orthodontics. Today, he is a proud member of the American Dental Association, Massachusetts Dental Society, Valley District Dental Society, American Academy of Sleep Medicine, American Academy of Orofacial Pain, and the International Association of Orthodontics. His favorite part of his job is being presented with a unique experience from each patient. In his free time, he enjoys playing guitar, and racing with go-karts. He is currently in the process of performing orthodontic treatment (braces) on himself!